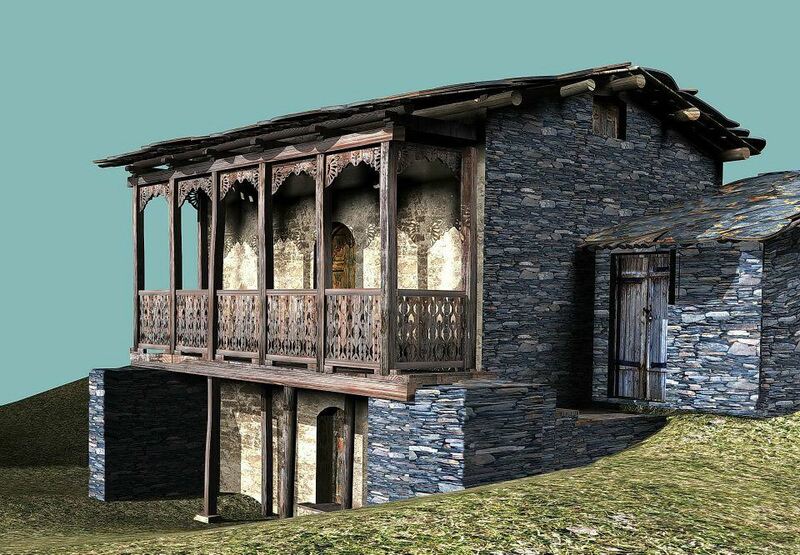 Earlier this year the Municipal Development Fund of Georgia (MDF) launched a project to restore the vernacular architecture of the medieval village of Dartlo village in Tusheti. 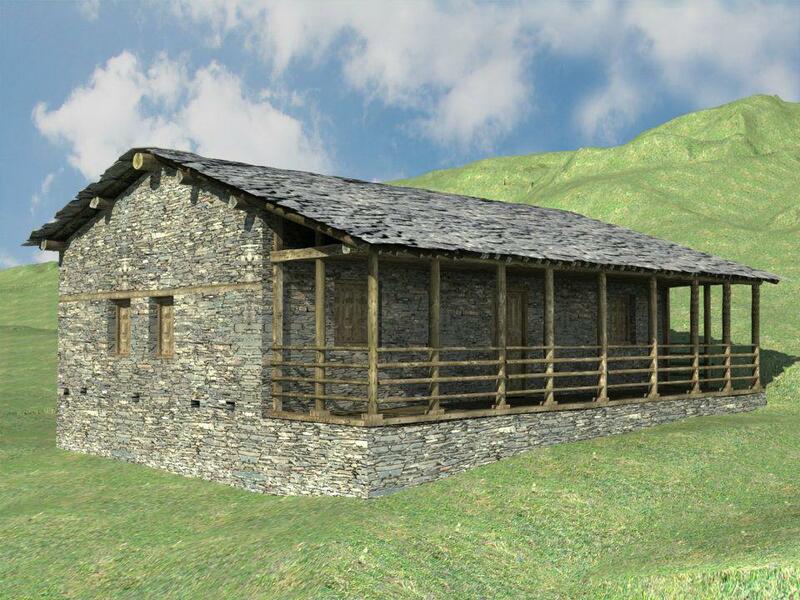 The initiative is part of a larger project, called “Kakheti Regional Development Project” that is developing tourism in Kakheti. 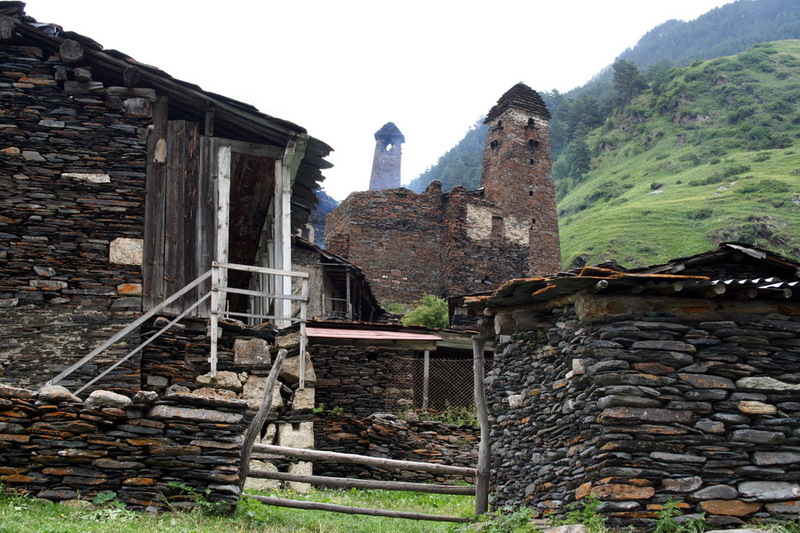 Dartlo village is one of the most beautiful villages in Tusheti. 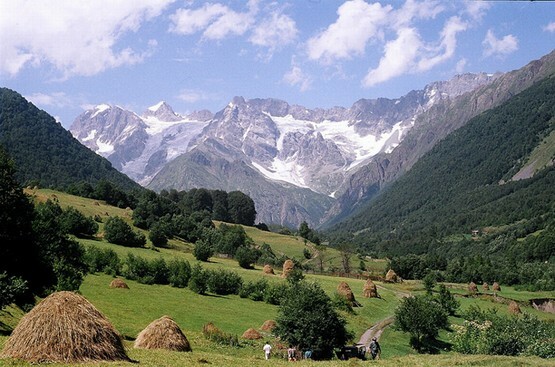 Situated 2000 meters above sea level in the Alazani River gorge it rests on the northern slope of the Greater Caucasus Mountains. 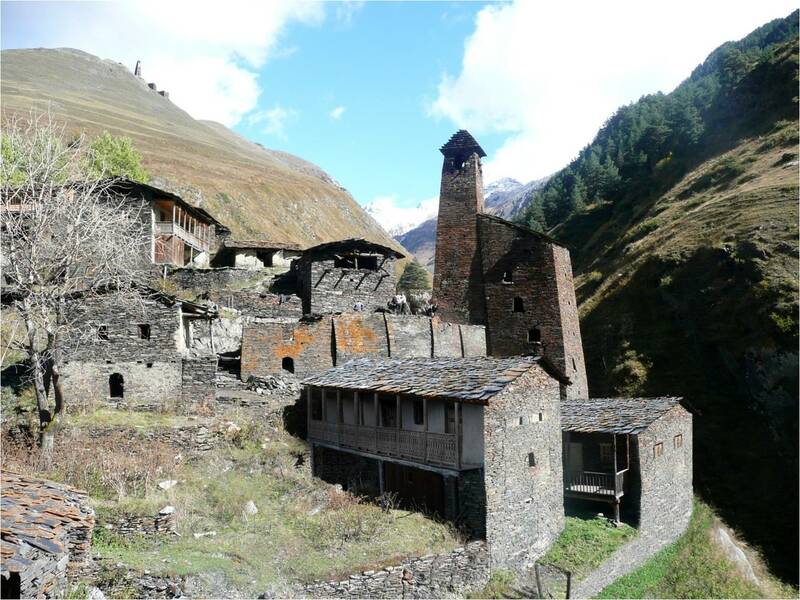 The project will repair many of the buildings in the village and restore traditional features, such as slate roofs. 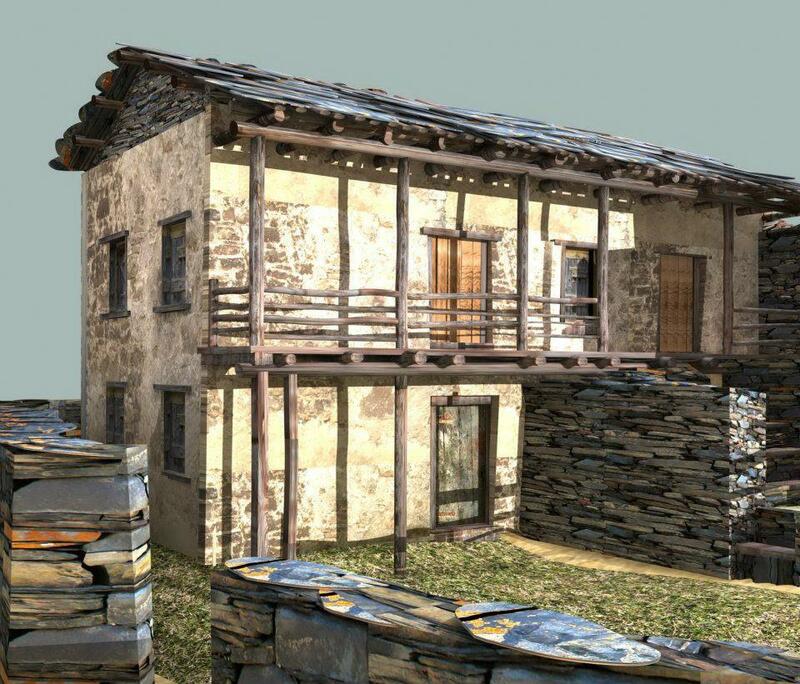 There are three main types of dwellings in Dartlo: Traditional, Transitional and Modern. 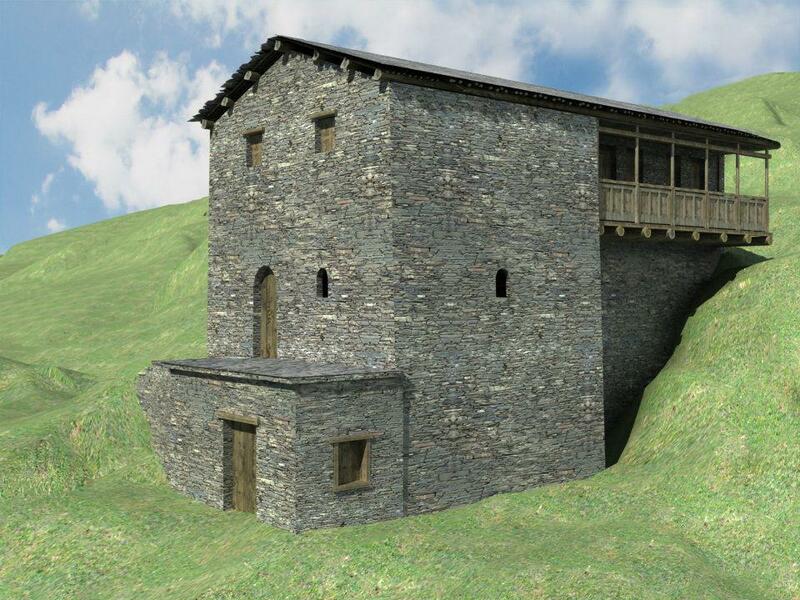 The traditional type, fortress-houses, have between 2-6 floors and an attached fortified tower. 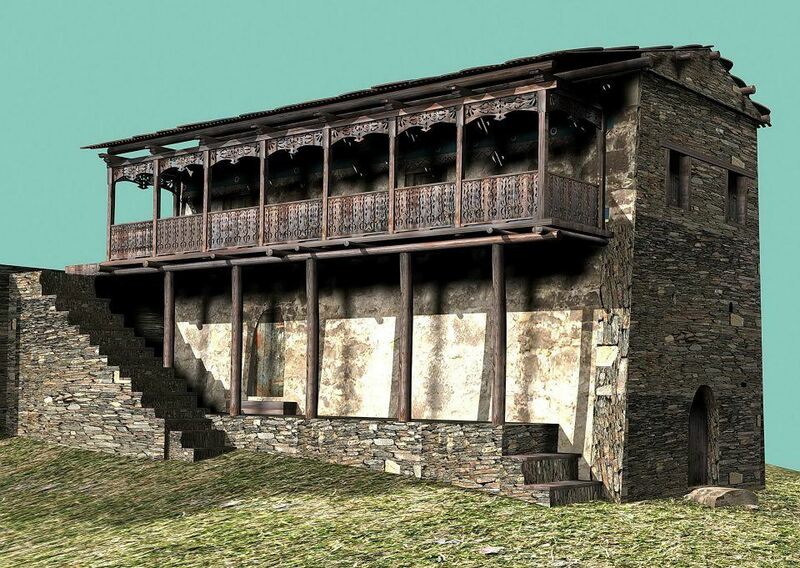 The transitional type of housing is similar to the traditional fortress-houses but often have roofed balconies and additional constructions for storage. This type is called “Karseani”. 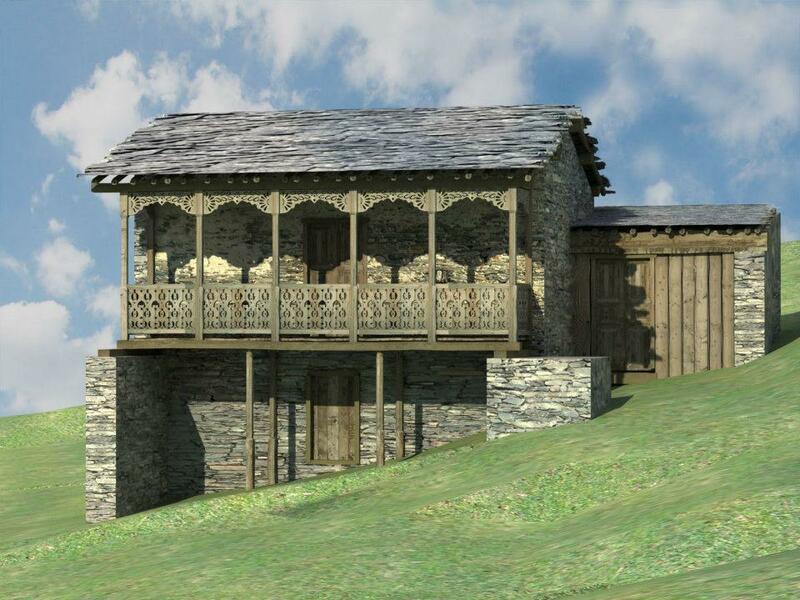 The following photographs show what the buildings look like now and what they will look like after restoration. 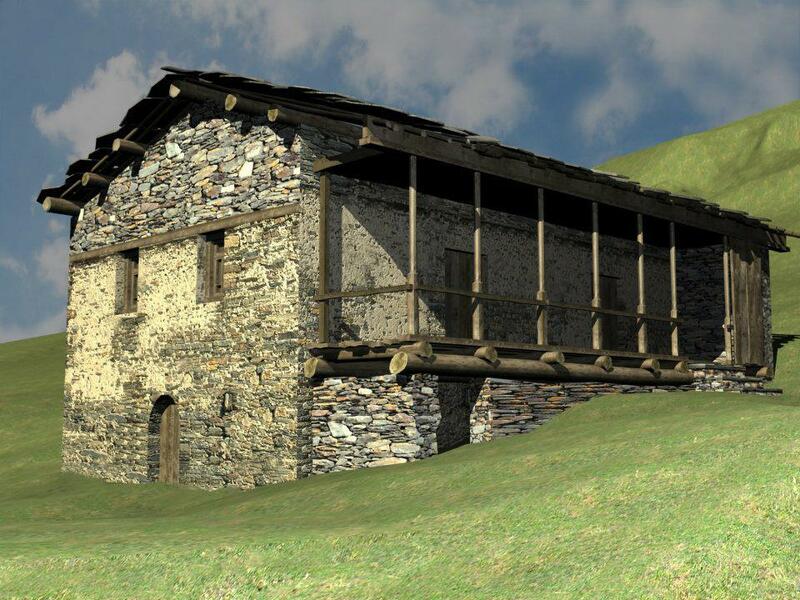 GEORGIA ABOUT applauds this important initiative which will help to preserve Dartlo’s rich architectural heritage. 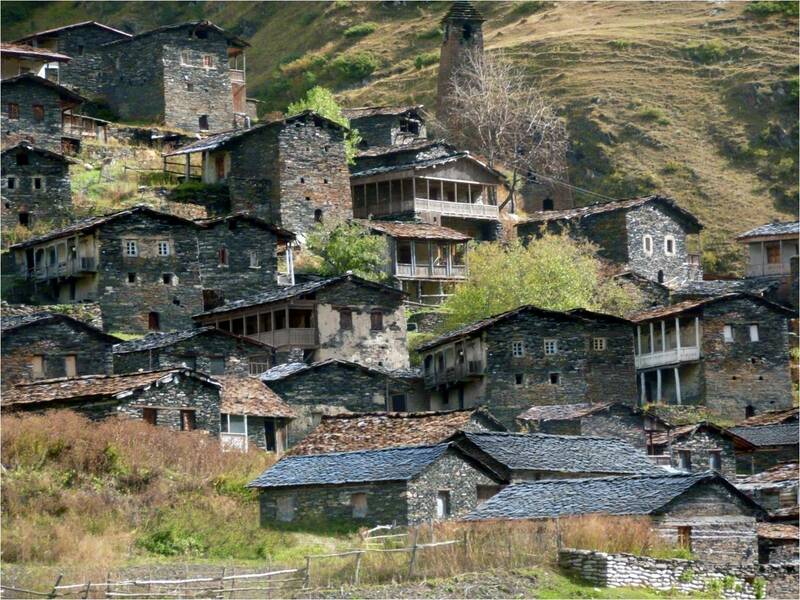 These are interesting houses. Again, looks like we’ll have to come to Georgia. I love the texture of the stacked stones. Beautiful! Any idea how long the restoration will take? 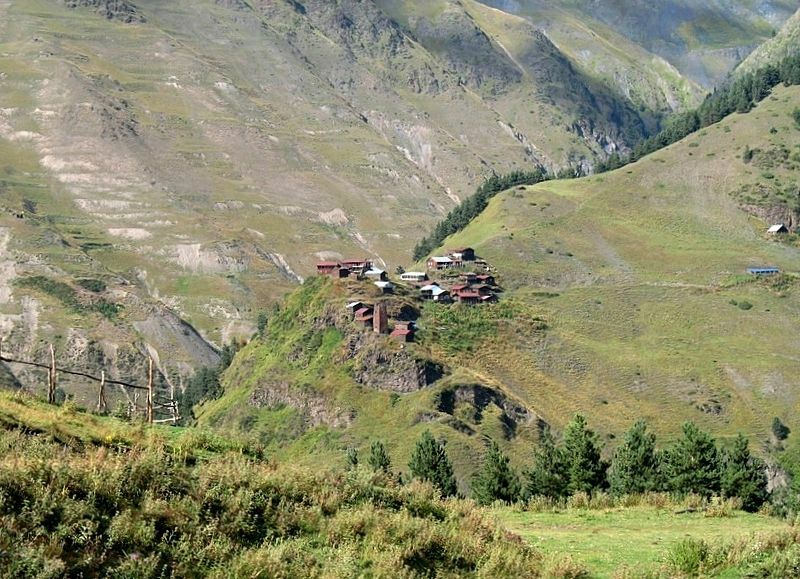 Is the village still inhabited? 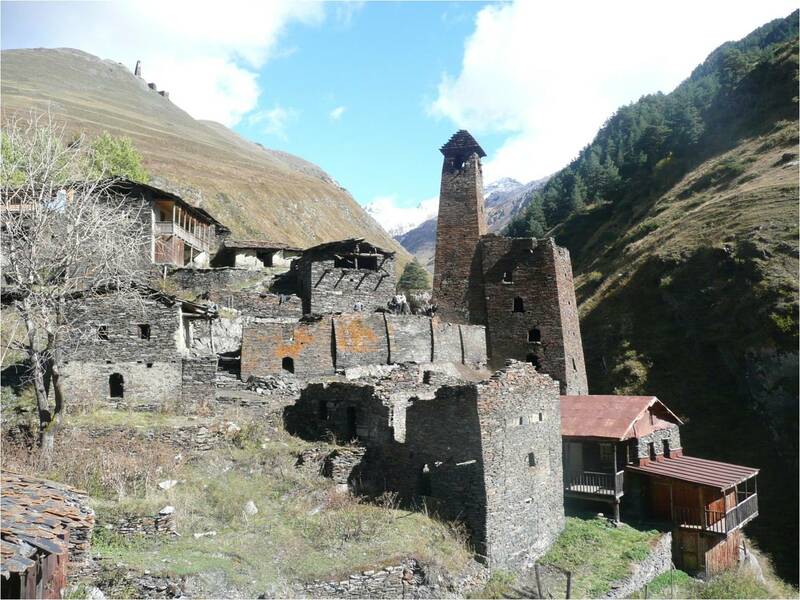 The village is still inhabited Shary but mainly during the summer months – for the rest of the year the road to Tusheti through the Abano Pass is impassable and the village is cut off. 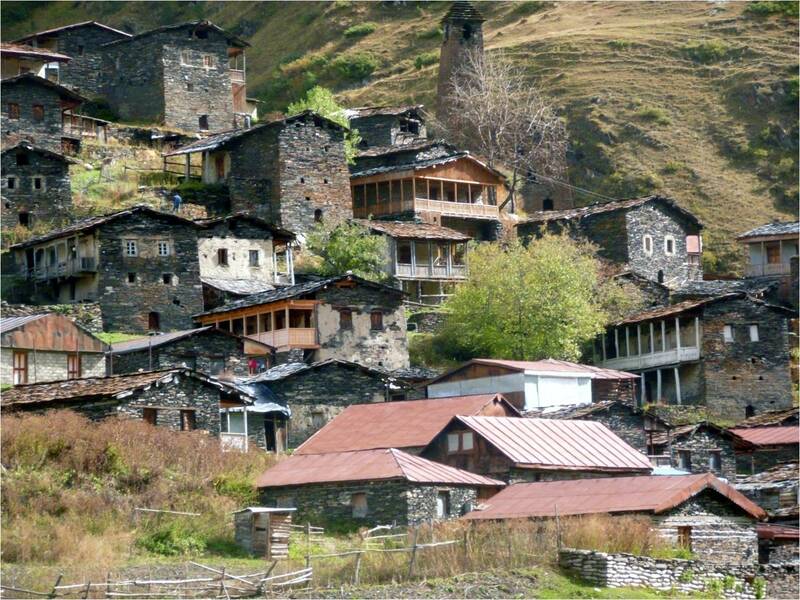 The villagers usually spend the winter months in Kakheti. I’m not sure how long the restoration will take. The workmanship is just stunning. What a beautiful country you live in. Very impressive!! Are the stones some type of slate? I love reading this blog! the Pictures are awesome. 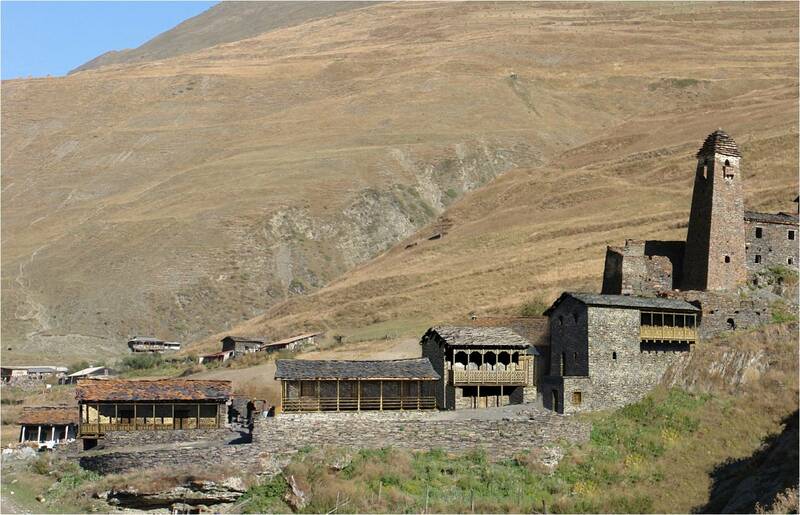 If you have not experiencd a 60% increase in tourist traffic, I’d be surprised!